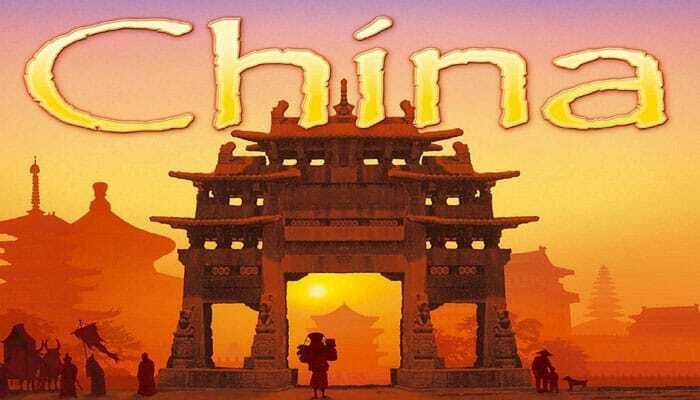 China is an abstracted game of political influence in China. Players use cards to place pieces (Houses or Emissaries) into the nine regions on the board. When all house spaces in a region are filled (or at the end of the game), players score for majorities of houses in that region. At game end, players then score for having majorities of emissaries in two adjacent regions. Players also score for having four or more houses in an uninterrupted sequence along one of the roads on the board.